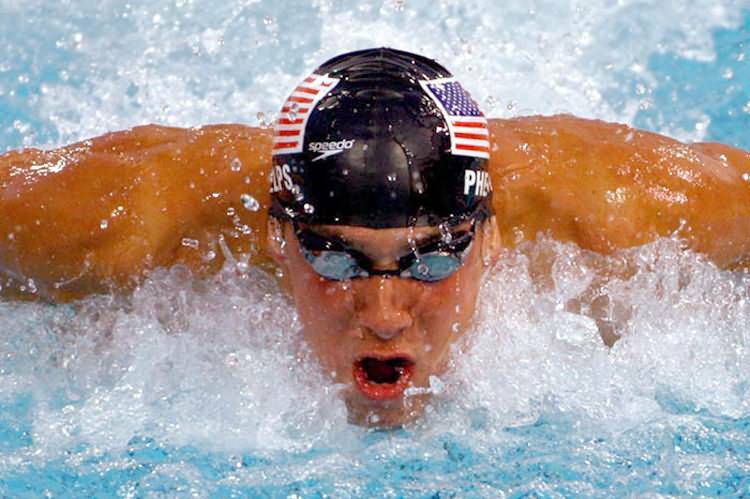 Michael Phelps born June 30, 1985 in Baltimore Maryland, is an American swimmer, fourteen times Olympic champion. Michael Phelps’s overwhelming dominance earned him nicknames such as The Baltimore Bullet. In 2004 at the Olympics in Athens, Michael Phelps equaled the record of medals in one Olympics owned by gymnast Alexander Dityatin. 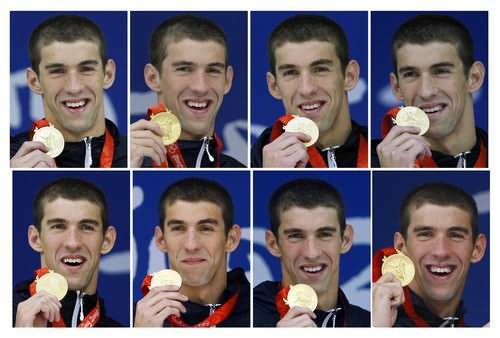 Michael Phelps won eight medals, including six gold. 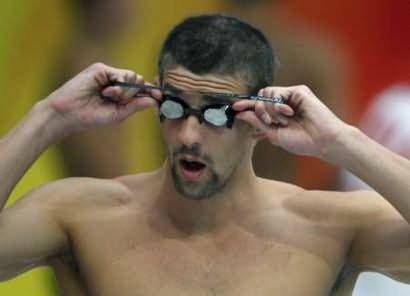 Micheal Phelps international titles and numerous world records have earned him the title of Swimmer of the year four times in a row, and All time American swimmer six years in a row. During the Beijing Olympic Games in 2008, he entered the legend by winning eight gold medals in eight events where he participated. He also beat seven world records and one Olympic record. Michael Phelps has beat the record number of Olympic titles won at the same Olympics, surpassing the performance of swimmer Mark Spitz (seven titles), established in 1972. 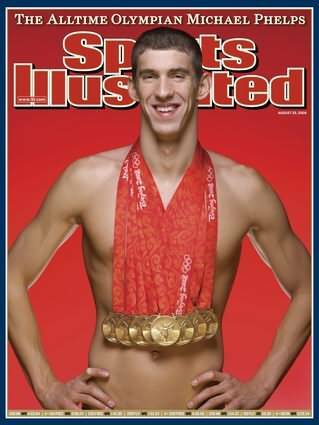 Michael Phelps is also the most titled athlete in the history of the Olympics, with fourteen gold medals in total. 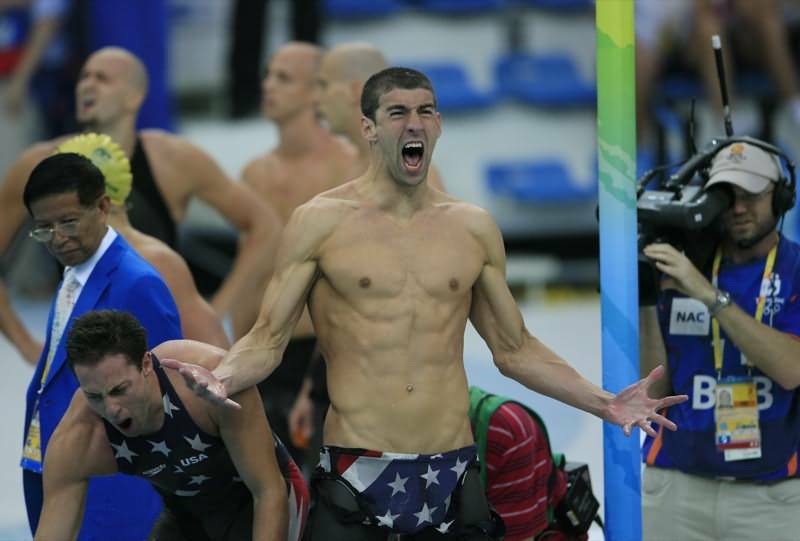 Michael Phelps is the All Time World Olympian!